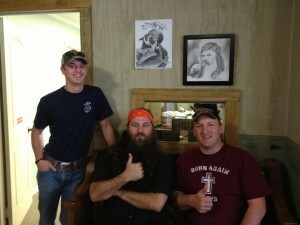 We’re excited to have our pictures on the cover of the Tulsa World. 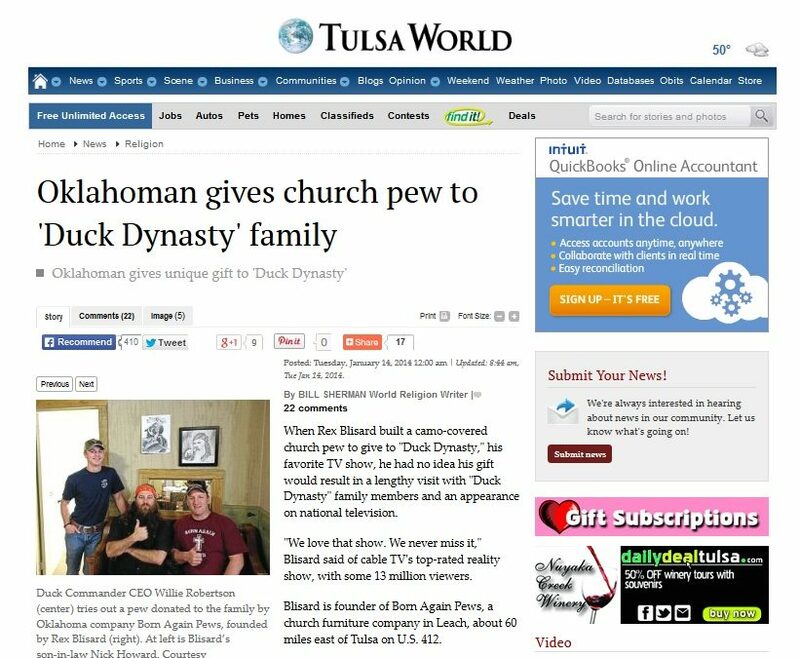 This big city paper liked the story of how we built a custom pew for the Duck Dynasty family, and they also liked the story of our business here in Oklahoma. 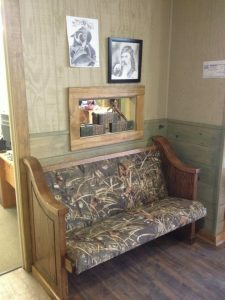 Here you can see us relaxing with the family on the special camo-covered bench we built for them and delivered to their place while we were on a trip to install pews in a church near them. A well-built piece of furniture can be at home in all kinds of surroundings. We’ve built our beautiful furniture for many churches, of course, but also for courthouses and in this case for an office. Turned out, they had exactly the right spot for the bench we built. 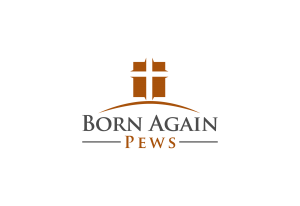 We feel very blessed, and we look forward to sharing our blessings with you when you need new pews or benches.